There will be a short meeting this Wednesday at 3:15 in the main gym for all boys who have signed up or who are interested in playing boys' soccer in the fall. Please try to attend, as important information will be shared with you at that time. Join us for a fundraiser to support the LHS Band. Come in to Chipotle at 1040 Green Blvd in Aurora this Tuesday between 4:00-8:00pm. Be sure to tell the cashier you’re supporting the cause to make sure that 33% of the proceeds will be donated our band. Tonight's (4/22/19) JV Baseball game at Connersville will start at 6 pm. Varsity softball at Connersville is postponed today (4/20/19) due to the weather. We are working on a reschedule date. LHS Student Council is hosting a Dodgeball tournament to raise funds for a 2nd grade student at LPS that has recently been diagnosed with Leukemia. See Mrs Lusk, in the Plato Lab, for more details and team sign up forms. Marching Tigers Band & Guard Auditions are tonight (4/17/19) and tomorrow (4/18/19). Audition times will be selected by you and music can be picked up from Miss Jones. These auditions are for ALL interested 7th-11th grade students. LHS Cheerleading tryouts are tonight (4/17/19) from 6-9pm in the LHS aux gym. Please make sure you turn in all necessary paperwork in order to tryout. Contact Nia Brightwell at nia.bright@yahoo.com with any questions. 2019-2020 Tigerette Junior (grades 5-8) and Senior (grades 9-12) clinicals are tonight (4/17/19) in the GMS gym from 5:30-7:00 pm. Tryouts will be Thursday, April 18th in the LHS Main Gym from 6:00-8:00pm. Beacon's Physical Night is tonight (4/17/19) at LHS from 3:15 pm - 5:30 pm in the main gym. Cost is $20. Any student who is wanting to attend summer workouts or play sports during the 2019-2020 school year, must have a completed physical packet on file in the athletic office. There is a meeting today (4/17/19) during SRT in the plato lab for any girl interested in playing golf this year. Both boys and girls track finish 1st in a meet with Rising Sun and Switzerland County! Varsity softball defeats Batesville 3-2! Tonight's Varsity Baseball game at St. Henry has been canceled. It will not be made up. JV Baseball game at St. Xavier that was rained out on 3/30/19 will now be rescheduled for 5/4/219 at Noon at St. Xavier. Any boy interested in playing soccer in the fall should sign up on the sheet outside the Athletic Office. Coach Uhlman will have an information meeting later this month. JV baseball defeats South Dearborn 9-6! Varsity Baseball defeats South Dearborn 13-3 in 5 innings! LHS Cheer Tryouts for the 2019-2020 season are April 15th 6-9pm (clinic) and April 17th 6-9pm (tryouts). If you are interested in trying out please pick up a packet in the office. If you have any questions, please contact Coach Nia’ Brightwell at nia.bright@yahoo.com. LHS Volleyball open gym/weights schedule is up in the front office for anyone interested. Lady Tigers fall to Rushville in Game 2, 17-5 in 6 innings. Varsity Baseball Tigers win a tight battle with Greensburg 8-6! Varsity Girls Tennis defeats Madison 3-2! Varsity Softball defeats Jac-Cen-Del 10-2! Varsity Baseball defeats Oldenburg 11-1 in 5 innings. Tryouts for LHS Cheerleading for the 2019-2020 season will be Monday, April 15th 6-9 pm, and Wednesday, April 17th 6:00-9:00 pm. There will be a mandatory parent/athlete meeting April 3rd at 7pm in the LHS Cafeteria for those interested in trying out for the cheer team. The LHS volleyball open gym/weights schedule is up in the front office for anyone interested. Today’s (3/30/19) JV Baseball game at St. Xavier has been postponed. We are working on a reschedule date. Anyone who plans on wrestling next season is asked to meet Coach Shepherd in the wrestling room after school today (3/15/19) for a very short meeting. Boys Basketball draws Rushville in Sectional. Game will be at 6 pm on Wednesday, February 27, 2019. Advance ticket information will be announced later this week. Tonight is Military Appreciation Basketball Game. We are asking fans to bring a Teddy Bear. During half-time the bears will be tossed onto the court and collected. Collected Teddy Bears will go to children of fallen, wounded, or currently deployed military personnel from Indiana. Champions Together will be playing a mini basketball game against the EC Champions in between JV & Varsity basketball game Tuesday, February 12. Girls Tennis sign ups will be outside of the Athletic Office. Please sign up by Friday, February 15. Lady Tigers hang on to defeat Madison 41-39 to advance to the sectional final Monday night! Tigers are wrestling sectional runner up! Qualifying for regional next week at Richmond is Spencer Gordon, Grant Stapleton, Corbin Walston, Jayce Bohan, Blake Bartley,Andrew Roberts, Andrew Roth, Noah Rowlett, and Ethan Parris! JV Tigers defeat Greensburg 53-35! Lady Tigers will play South Dearborn in the Sectional at 6 pm on Wednesday, January 30, 2019. More sectional information to come later! Freshman Boys Basketball Tournament at Rushville is postponed until Monday (1/21/19) at 6 pm. Congrats to Elena Thatcher on being state runner-up at the wrestling girls state competition! Reminder: Tonight’s (1/9/19) Freshman Boys Basketball game is at 6 pm. Wrestlers finish 5-3 at the Cub Classic in Madison. They finished 4th overall in the tournament. Lady Tigers earn a hard fought victory over Charlestown in the Southwestern Invitational 59-49. They will play in the championship game tonight (12/29/18) at 6:45 pm! Lady Tigers are victorious over Union County 53-34! JV Lady Tigers defeat Union County 47-11! Tigers are victorious, defeating Taylor in overtime 57-46! Freshman Tigers defeat Taylor 44-28! Congrats to the Tiger wrestlers for going 5-0 and winning the East Central Super Six! Lady Tigers earn a hard fought conference victory over Rushville 48-44! JV Lady Tigers get a big conference win over Rushville 42-33! Tigers rally in the 4th quarter to earn a hard fought conference win over Rushville 54-51! Boys Swimming and Diving defeated Oldenburg last night 113 - 19! Girls Swimming and Diving defeted Oldenburg last night 94 - 70! 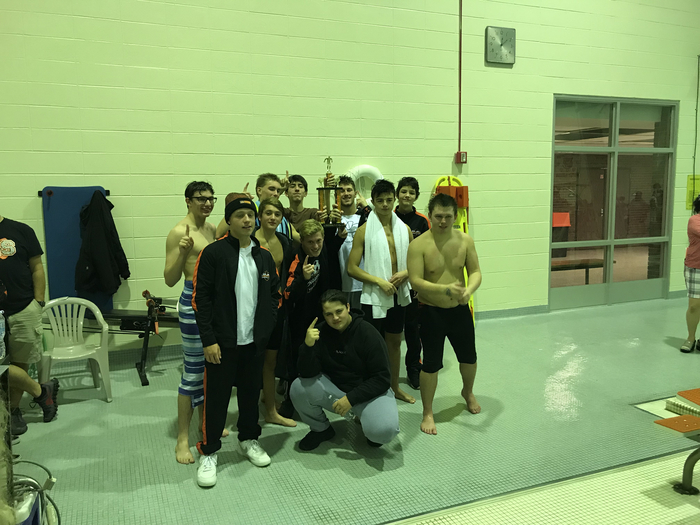 Over the weekend, both the boys and the girls swim teams fininshed 2nd at the Eastern Hancock Invite. The just missed being in first place, being separated from Centerville by one point. Varsity wrestling goes 5-0 at the New Castle Invitational! Way to go Tigers! Lady Tigers hold on to defeat Connersville 45-43! JV boys basketball defeats Batesville 38-34! Freshman boys basketball defeats Batesville 35-26! Lady Tigers defeat North Decatur 63-32! JV Lady Tigers defeat North Decatur 48-28! Boys and Girls Swimming and Diving defeats South Ripley! Boys Freshman Basketball defeats Madison 38-32! Lady Tigers defeat Milan 58-33! Congrats to the Boys Swimming team on winning the LHS Invitational today! Congrats to the Varsity Wrestling team for winning the Milan Invitational! Seven Tigers won their weight class! LIFEGUARDING CLASS!! Limited Spots Available - December 15,16, 22, & 23. If you are interested contact Lyndsay Laub at lyndsay.minnich@gmail.com or pick up a flyer in the LHS Front office Class with be held at South Dearborn High School. Lawrenceburg Girls Basketball Night at Chipotle in Aurora will be Tuesday, December 4th between 5:00pm and 9:00pm. Tell the cashier you’re supporting the cause to make sure that 33% of the proceeds will be donated to Lawrenceburg Girls Basketball Program. The boys basketball program needs help with their youth league on Saturday mornings. Community Service hours are available. For more details and to sign up, see Coach Blackwell in room 202. Freshman Tigers outlast Milan in overtime 41-34! Freshman Tigers defeat Connersville 39-33! Boys and girls swimming and diving both defeat Harrison! Tigers defeat Franklin County 52-42! Lady Tigers defeat South Dearborn 60-33 to improve to 7-0 on the year! Varsity Lady Tigers are tied 22-22 with South Dearborn at the half. JV Lady Tigers defeat South Dearborn 47-15! Varsity Lady Tigers defeat Franklin County 49-36! Varsity Boys Basketball wins its first game of the year 42-30 over Switzerland County! Lady Tigers defeat South Ripley 63-38! Tonight's Girls Basketball game at South Ripley will be Varsity only, starting at 6:30 pm. JV Girls Basketball defeats Oldenburg 35-24! Varsity Lady Tigers defeat Rising Sun 65-37, to move to 3-0 on the season! Reminder: Saturday Night's (11/10/18) V/JV Girls Basketball game will be played at Greendale Middle School. Varsity Lady Tigers defeat Madison 59-44! Varsity Lady Tigers start the season with a hard fought win over Batesville 57-49! JV Lady Tigers starts the girls basketball season off with a win, defeating Batesville 49-12! Tigers drop a hard fought game to Batesville 28-22. Proud of our Tigers! Varsity Volleyball falls to Greensburg in 4 sets in the Sectional Championship. Tough loss, but thanks Lady Tigers for a great season! Varsity Boys Soccer falls to Cardinal Ritter 5-0 in the Regional Championship. Great season Tigers! Hannah Morgan finishes 20th in the Cross Country Regional. She advances to next week’s semi-State at Shelbyville! Volleyball advances to the Sectional final by defeating Madison (25-19, 25-16, 25-15). Game time tonight (10/13/18) is 7 pm at Batesville! Boys Soccer defeats Herron 4-1 to advance to the Regional final. Game time tonight (10/13/18) is at 7 pm in Greensburg! Lady Tigers advance in the Sectional by defeating Franklin County in three sets (25-7, 25-17, 25-13). The will play Madison on Saturday. Tigers will host North Harrison in the first game of the football Sectional on Friday, October 19th. Tigers Boys Soccer are Sectional Champs!!! Defeats South Dearborn 4-0! Varsity Volleyball wins their 3rd match of the day by defeating Adams Central in 2 sets! Onto the Championship match! Varsity volleyball wins their 2nd game in the Union County Tourney by defeating the host school in 3 sets! Hannah Morgan finishes 10th in the Girls Cross County Sectional today! Hannah advances to the Regional in Shelbyville next week! Varsity Volleyball wins it’s 1st game in the Union County Tourney over Seton Catholic in 2 sets! Tigers hold on to defeat Connersville 27-26! Lady Tigers fall to Batesville 3-1. Thanks ladies for all of your hard work this season! Great year girls! Varsity Volleyball defeats Rising Sun in 3 sets! Lady Tigers Volleyball draws Franklin County in the 1st game of the IHSAA Class 3A Sectional at Batesville on Tuesday, October 9th at 6:00 pm. Boys Varsity Soccer defeats Ross 2-1! Tigers pull out the victory over Rushville 21-19! Cross Country Meet at Batesville has been canceled for this evening. There will be Cross Country practice after school. Varsity Boys Tennis vs. Madison has been canceled for tonight (9/24/18) due to the rain. Tigers drew Batesville in the Boys Soccer Sectional to be hosted at Lawrenceburg.. it will be the 2nd game on 10/3. 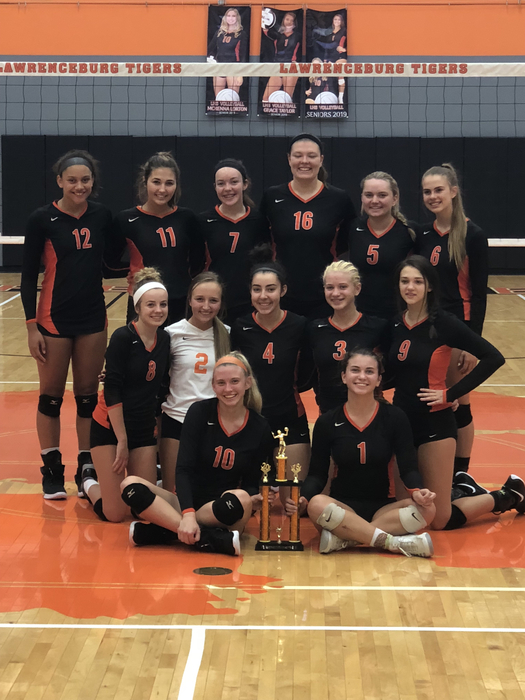 The Lawrenceburg varsity volleyball team won Monday's home conference match against rival school East Central (St. Leon, IN) by a score of 3-1. Lady Tigers defeat East Central in 4 sets (25-21, 11-25, 25-22, and 25-21)! JV Lady Tigers Volleyball defeats East Central in 2 sets (25-15, 25-20)! Varsity Lady Tigers Volleyball wins the LHS Invite defeating Hauser in the title game and going 3-0 on the day! Tigers defeat the Wildcats 35-13! 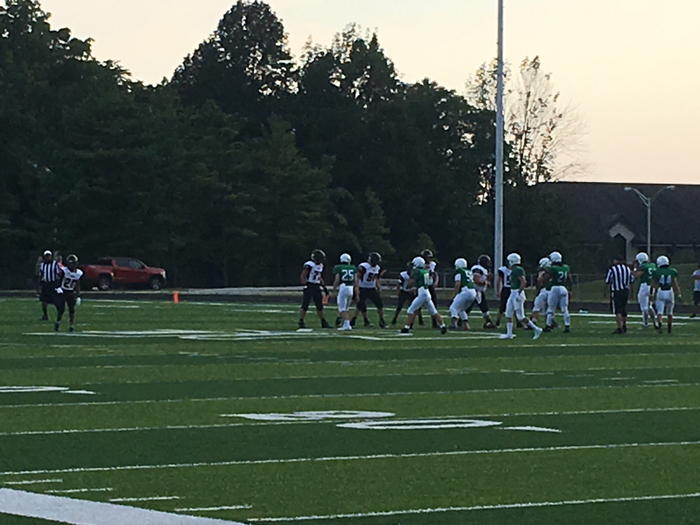 Freshman Tigers Football defeats Milan 6-0! 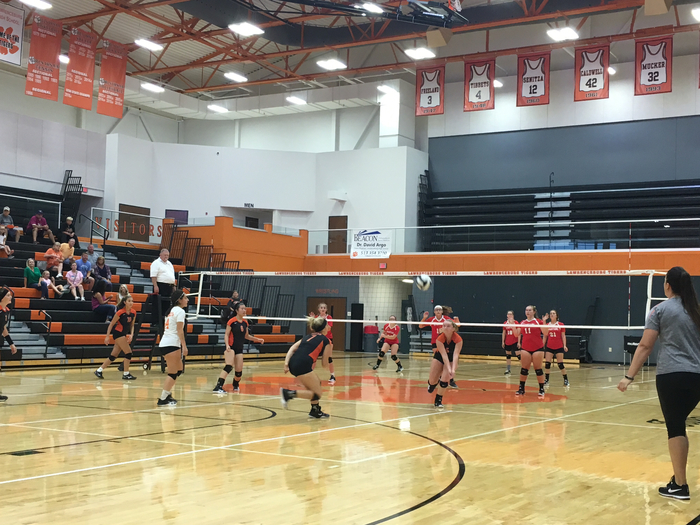 The Lawrenceburg JV volleyball team won Wednesday's away conference match against Rushville by a score of 2-0. The Lawrenceburg varsity volleyball team won Wednesday's away conference match against Rushville by a score of 3-0. 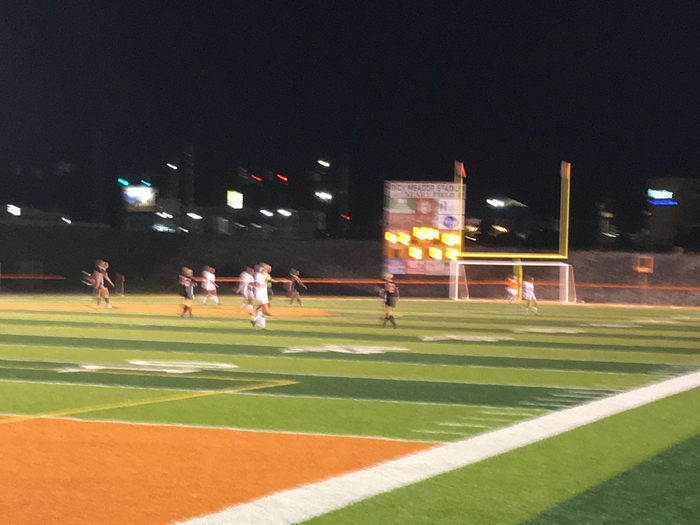 JV Lady Tigers Soccer defeats South Dearborn 3-1! Lady Tigers Varsity Soccer defeats Landmark Christian 7-2! JV Girls Soccer defeats Landmark Christian 2-1! The Tiger Junior Varsity team defeated Milan last night 36-20. The Tiger C team is back in action at Beechwood on Thursday. Varsity Lady Tigers Volleyball defeats South Dearborn in three sets (25-13, 25-5, and 25-11)! 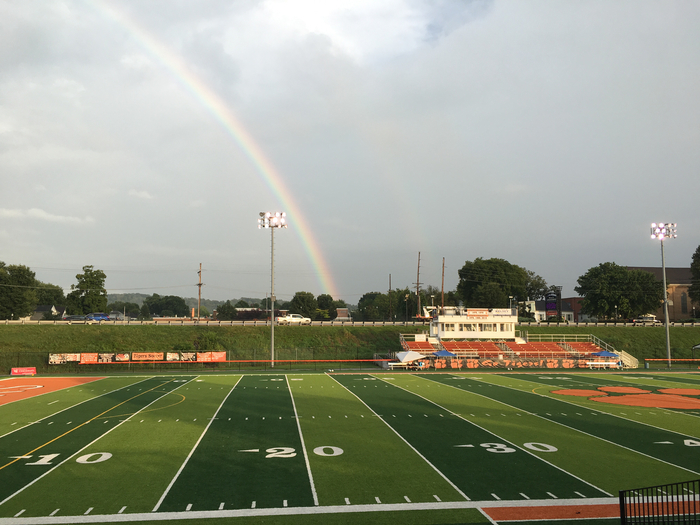 The start time for tonight's (9/4/18) JV Football game at Milan has been pushed back to 6 pm, due to high temperatures. Varsity Boys Soccer defeats Rushville 6-1! Varsity Girls Soccer defeats Rushville 9-0! JV Volleyball defeats East Central in 2 sets 25-20 and 25-24! Varsity Soccer Lady Tigers defeat Franklin County 5-0! Lady Tigers Golf placed 2nd in a Tri-Match with Milan and East Central on 8/28. East Central - 214, L'burg - 232 and Milan - 253. Hannah Williamson led the the team with a 52. Lady Tigers defeat Batesville in 4 sets (25-16, 27-25, 21-25, 25-8)! JV Lady Tigers defeat Batesville in three sets! Tigers Varsity Boys Soccer defeats Jac-Cen-Del 1-0! Lady Tigers advance to the Championship game of the Madison Tournament by defeating South Ripley in 2 sets! Due to prolonged lightning, V/JV girls soccer at Center Grove has been canceled for today. 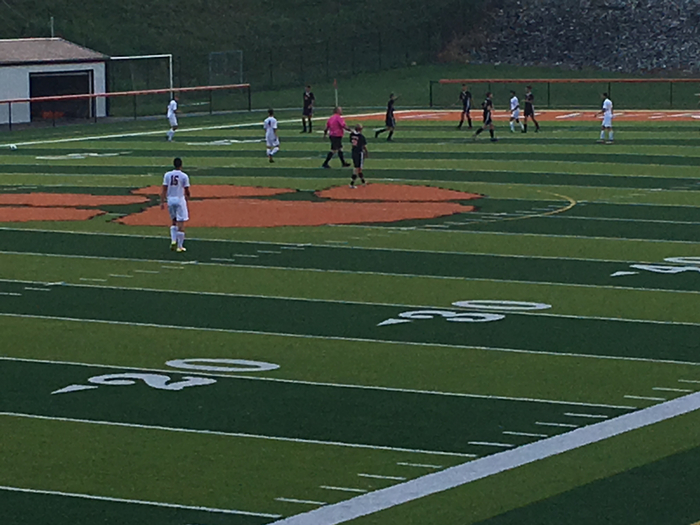 Tigers Varsity Boys Soccer defeats Batesville 2-1 in overtime! Varsity Lady Tigers Volleyball defeats Oldenburg 3-0! JV defeats the Twisters 2-0! Lady Tigers Varsity Girls Soccer defeats Taylor 3-0! Varsity Soccer Lady Tigers defeat Rising Sun 8-0! JV Soccer Lady Tigers defeat South Ripley 4-0! Fr. Football Tigers defeat East Central 14-6! The Lawrenceburg varsity volleyball team won Thursday's away non-conference match against North Decatur (Greensburg, IN) by a score of 3-1. The Lawrenceburg JV volleyball team won Thursday's away non-conference match against North Decatur (Greensburg, IN) by a score of 2-0. Tonight's (8/16/18) Varsity Boys Soccer match at Jac-Cen-Del is postponed due to unplayable field conditions. We are working on a reschedule date. Tonight's (8/16/18) Varsity Girls Golf match against Jac-Cen-Del is canceled due to poor playing conditions. We are working on a reschedule date. Varsity Lady Tigers Soccer defeats Oldenburg 2-0! Girls Soccer season is here! Varsity Lady Tigers Volleyball defeats Connersville in five sets (25-15, 23-25, 18-25, 25-19, 15-13)! JV Lady Tigers Volleyball defeats Connersville in two sets (25-17, 25-11)! 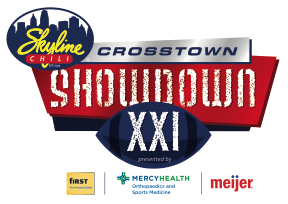 Reminder of tonight's (8/13/18) pep rally at the Lawrenceburg Skyline from 6-8 pm. We look forward to seeing our fans tonight! Tonight's (8/2/18) girls golf match vs. South Dearborn has been postponed. We are working on a reschedule date. Girls Soccer practice begins 7/30/18 from 6:30-8:30 pm on the turf field. Athletes must have a physical on file in the Athletic Office. Cross Country practice begins 7/30/18 from 5-6 pm on the track. Athletes must have a physical on file in the Athletic Office. Volleyball practice begins 7/30/18 from 4-6 pm in the main gym. Athletes must have a physical on file in the Athletic Office. Football practice begins 7/30/18 from 4-6 pm on the turf field. Athletes must have a physical on file in the Athletic Office. Girls Golf tryouts will be 7/27/18 from 8 am-12 pm @ Dearborn CC. Have a physical on file in the Athletic office. LHS is looking for a Varsity Boys Tennis Coach. If you or someone you know is interested, contact Mark Pierson at mpierson@lburg.k12.in.us. LHS Athletics is named a 1st Team Safe School from the National Athletic Trainers Association. We are excited to have this honor awarded to our athletic program and athletic training staff!